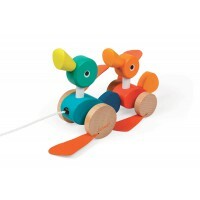 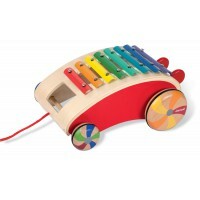 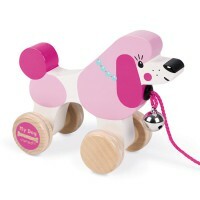 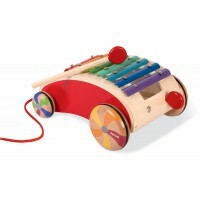 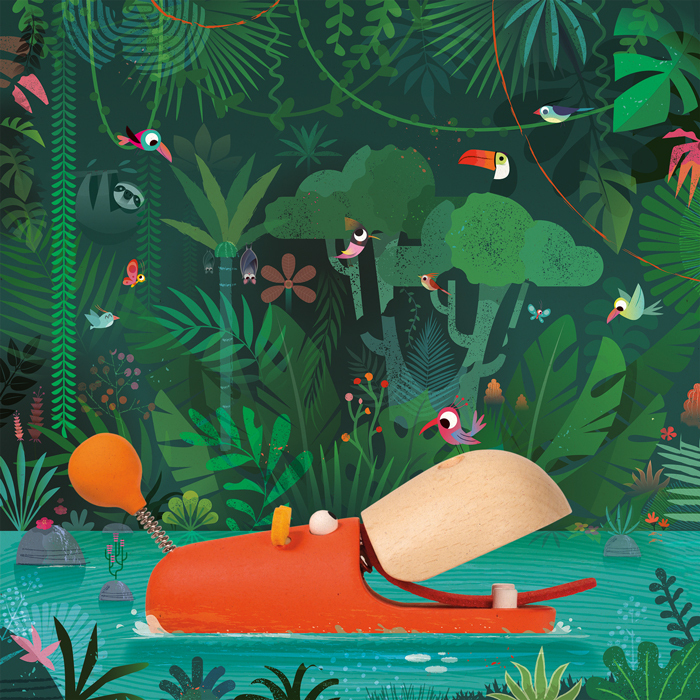 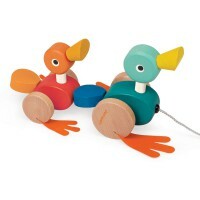 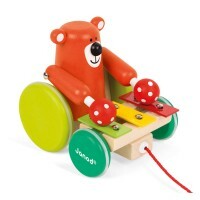 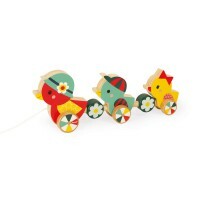 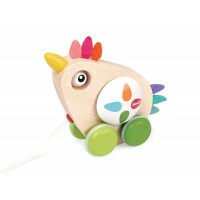 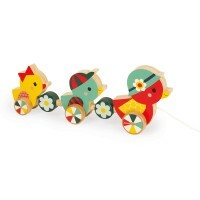 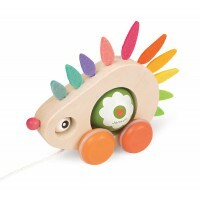 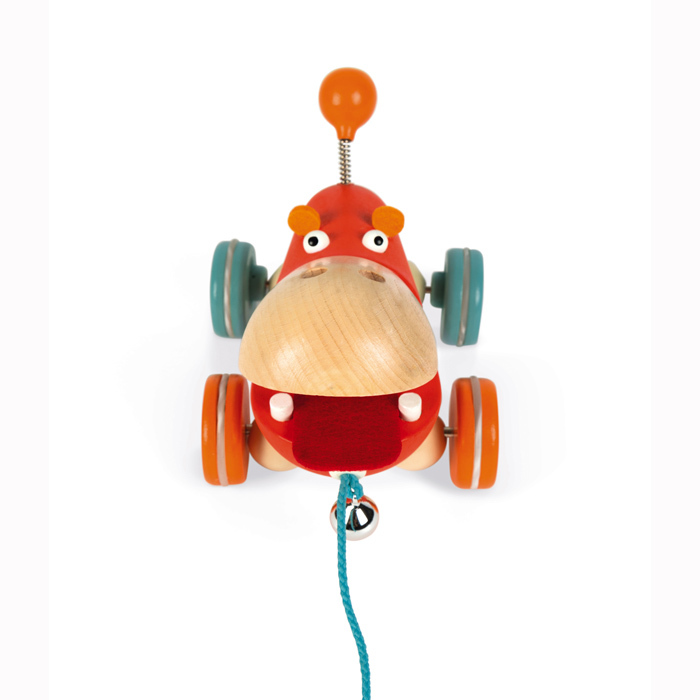 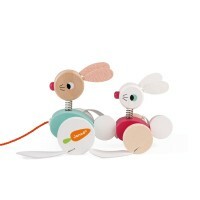 FSC certified wood and water painted in contemporary colours the Pull Along Hippo is a delight. 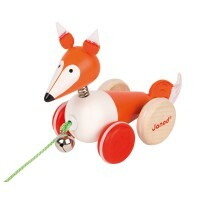 He has felt tongue and ears, tactile and soft, and a tail that bobbles around when you pull him along. 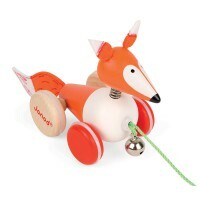 Watch his wide mouth open and shut while his tinkling bell lets you know he is following you closely. 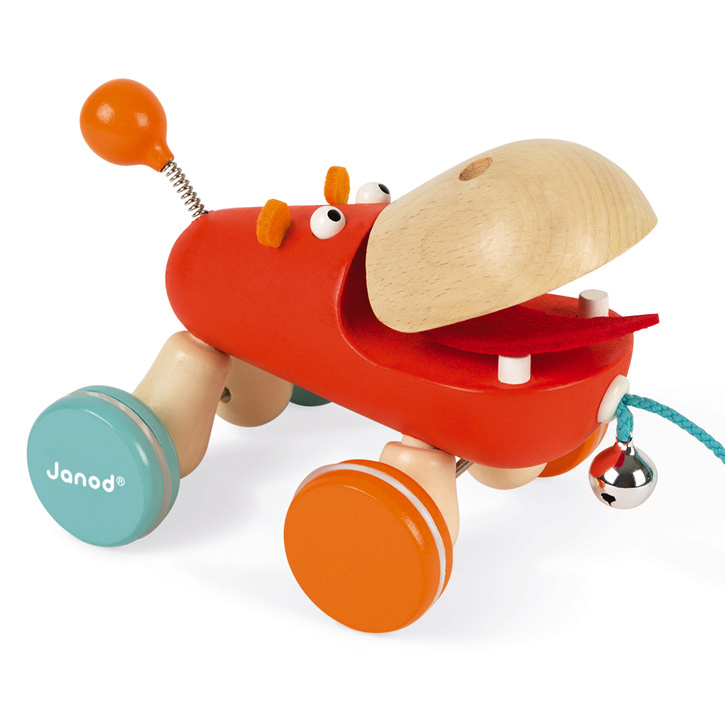 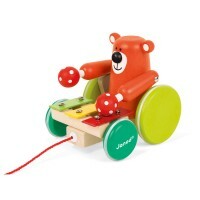 Known for their speed on land, the Janod Hippo has rubber grippers on his wheels to ensure he is being quiet and will always let you set the pace. 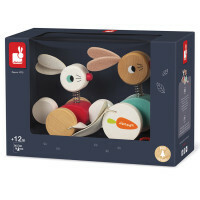 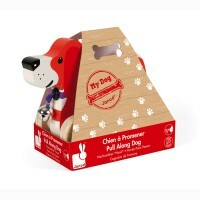 Presented in a display box he is the ideal first birthday gift.